Need to know how much solar panel repair costs? Get price averages and learn what drives these costs. Get FREE cost estimates from pros near you. How Much Does Solar Panel Repair Cost? With residential energy costs going up with every new gadget you install, most homeowners are not only turning to energy efficient systems but also thinking of alternative energy sources to alleviate the costs. The most preferred alternative would be solar energy. Solar power could help you cut down on your electricity but also make your home eco-friendly. Your only charges would be on the solar panel repair and maintenance. Since solar energy is free, your installation and maintenance costs will pay for themselves over time. Here are the things to expect with regard to the cost to repair solar panels. How Much Does It Cost To Repair Solar Panels? The cost to repair solar panels will not only depend on the number and size of the affected panel but also the extent of the damage. Small localized damages could cost you as little as ￡77 while major repairs calling for panel replacement could be in the excess of ￡2,150. On average, most homeowners will spend around ￡460 to handle solar panel repair. Visible problems like cracks or damaged panels are costlier to repair as opposed to circuit related problems. Either way, it is always wise to hire an expert. Meddling with solar panels could lead to more damage or electrical faults. Luckily roof solar panels can be repaired to a certain extent. If your solar panels are damaged, it would be wise to have them checked out before any more damage occurs. Compare multiple quotes from experts in your local area for quick and efficient solar panel repair and maintenance. The labor charges. These will vary from one solar panel repair contractor to another. Understanding the market forces before making your move could help you get better estimates on these individual costs. Moreover, since most solar panel vendors offer warranties, your damages might still be covered by the warranty. Always consult with your purchase documents and the vendor before attempting a repair. Some solar panels will have a protective piece of glass that gives the panel resilience against hailstones and other hard material. Cracks on this protective glass should be addressed especially if they drastically affect the panel�s output. Some panels will let you replace the glass while others will call for a complete panel replacement. 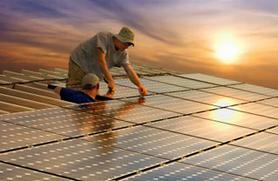 A solar panel repair expert can solder and prevent small cracks from spreading. This is cheaper that replacing the panel in the long run. This is by far the easiest solar panel repair job. You will notice when your solar panels provide intermittent or heavily fluctuating power. The repair will involve re-soldering the loose contacts to restore the panel to its pristine condition. Choosing a good solar repair expert will help you get the cheapest and most functional solution to your problem. Even though a great deal of the physical damage to your solar panels might call for a replacement, a clever solar panel repair could keep your system running without expensive replacements. 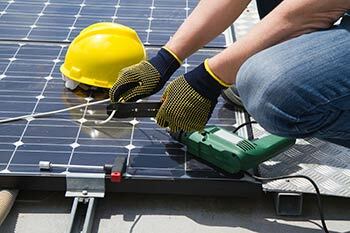 Are your solar panels in need of repair or maintenance? 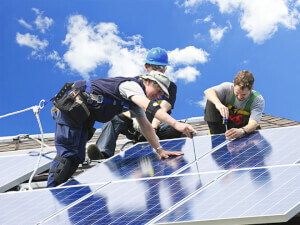 Get a solar panel repair estimate from solar pros in your local area. Enter your zip code in the space provided on this page to get your custom solar panel repair quote from the experts. It is 100% FREE with no obligation to hire, purchase, or sign any contracts.